People have found pushy salesmen, run-down cars, and bad customer service at used car dealerships. 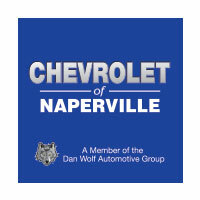 Chevrolet of Naperville is here to change your entire experience when shopping used, so forget the past experiences you’ve had with bad car dealerships. Whether you’re looking for a used Chevy Cruze in Naperville, IL or a Chevy Silverado, we have the used cars that you’re looking for in stock. Our easy online search tools help you narrow your search down, or you can just as easily call us and ask if what you’re looking for is available. Buying used with Chevrolet of Naperville is just a better used car buying experience. When you’re ready to find that new-to-you car, come visit us! We’re not just a good used car dealership—we’re a great one. Here’s how we make your used car buying process with us simple and hassle-free. Our dealership has been so successful and community-oriented because of one reason: our customers. That’s why we always put our customers first and sales second. We know that an uncomfortable or dissatisfied customer isn’t a happy one—our goal is to always make you feel at ease and in control. Chevrolet of Naperville makes used car buying just like shopping for a new car. We customize your purchase to you, because we know your wants and needs are not the same as any other customer’s. We give you options with your purchase in addition to financing, which is powered by our in-house team of financing professionals. Our ultimate goal is customer satisfaction. We want your shopping experience with us to exceed your expectations. A new-to-you vehicle shouldn’t be any different than purchasing a new vehicle. If you’d like to trade in a vehicle with us, bring it in! We’ll tell you what your car is worth as well as what amount of the purchase price it would take off of your new car. You want to be protected by your dealership, especially when you’re buying a used car. When you buy with us, you get Chevy’s 6-year 100,000-mile Powertrain Limited Warranty. This warranty features Roadside Assistance along with Courtesy Transportation. Chevy also features a 12-month or 12,000-mile Bumper-to-Bumper Limited Warranty. Chevrolet of Naperville takes all this protection a step further. We offer a certified pre-owned scheduled maintenance program, which features a complimentary subscription to Sirius XM Radio and On-Star for 3 months. We protect your purchase of a certified pre-owned car with a 172-point inspection in addition to our warranties. A free vehicle history report from CarFax is included with every purchase. Best of all, our Vehicle Exchange Program means you have 3 days or 150 miles to return your vehicle and exchange it for another GM car—whichever comes first. From routine maintenance to major damage, our certified mechanics and technicians in our service shop can help. We ensure the purchase of your car is a purchase that you will make with the utmost confidence. Never be pressured by salesmen who know the car isn’t what they promise. When you shop with Chevrolet of Naperville, we have the facts, figures, and warranties to promise you that your car is a reliable, well-maintained machine. We change the used car buying experience by ensuring you buy with confidence every single time you shop with us. You don’t have limited choices with us when it comes to pre-owned cars—our selection speaks for itself. In addition to our online search, we stock hundreds of models of used Chevrolets. In fact, we even give you online access to the Factory Pre-Owned Collection. This collection of vehicles is exclusively from GM that were leased, rented, or otherwise used by the company. The great thing about having this choice is that these cars have less than 37,000 miles on them. If you’re interested in purchasing a Factory Pre-Owned Chevrolet, just contact our team when you find one that interests you. We’ll actually buy the car on your behalf and sell it to you directly. We give you the most options when it comes to selection for your next used Chevy purchase. You should absolutely be picky when it comes to your next used car as well as the dealership you buy it from. 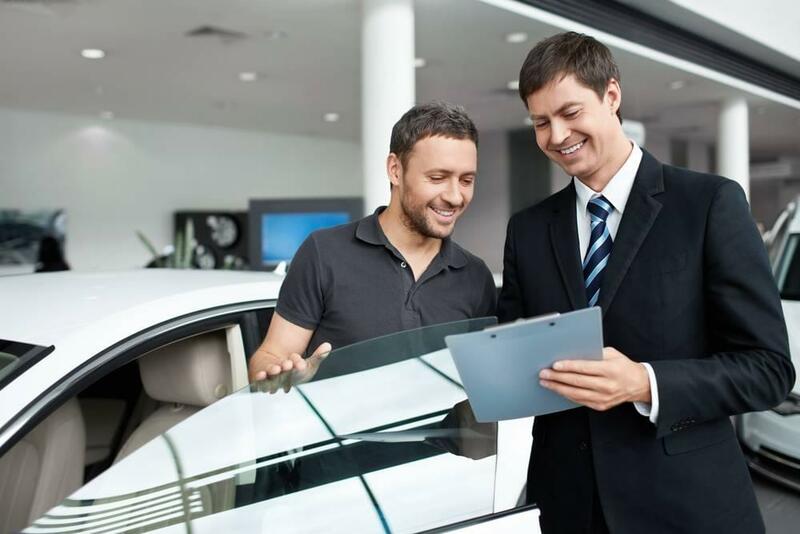 Choosing the right used car dealership can be even more important than choosing the car itself. We’re a dealership that prides itself on the choices we give our customers every day for quality Chevrolets that other dealers just can’t match. That’s why we love working with our customers—because we know we’re bringing them the best in used car buying, from our expert staff right down to our impressive selection. When you’re ready for something other than the typical used car buying experience, come visit us at Chevrolet of Naperville. If you’re hesitant about visiting a used car dealership without checking us out online, go ahead. Research our reputation. We care about our customers more than a sale, and our business practices—and reviews—show this. We include all necessary fees and the actual price of the car—we practice transparency in our pre-owned vehicle pricing. Our in-house financing team isn’t trying to score a sale, just a happy customer. You’re never talked into anything at our dealership. We respect your choices and you’re always free to walk away before signing anything. In fact, we advocate for the fact that you should never buy in an uncomfortable situation. The best purchases happen when you’re in control, satisfied, and happy. This is why we make customer service our number one priority at Chevrolet of Naperville. When you’re ready to buy your next used Chevrolet with us, give us a call to talk about your next dream new-to-you car with us. Or, better yet, visit us in person at 1515 W. Ogden Avenue in Naperville, IL. We’d love to assist you in making an informed and empowered choice with your next car purchase. We invite you to come visit us or to give us a call at (855) 410-3413.